from what I have heard. I have one seen below here that is waiting in cue to have cabinet work done. I have it down as a Canadian model 057 though. A very popular style used by various brandnames. I love it and the bookend shelf thingy is very unique. It'll be way out of my price range with all the shills. 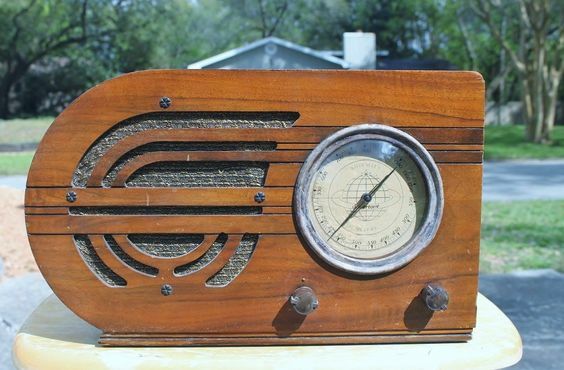 The one on E-bay is interesting in that it looks like it has an American Sparton, chassis and speaker, I can't see the dial close enough if it says Sparton, Jackson, Michigan, or London, Ontario. If that is the case. It looks like the knobs are not the same as the one I have. Mine has the genuine, wood Sparton knobs. This would be the first American Sparton I have seen with this particular cabinet. Another edit : I also noticed that the radio for sale has a sticker that shows it as a model 517. The model 057 I have, has a tube layout that has metal tubes in it. While the 5Y4G, 6F6G, are both ST style the other tubes, 6A8, 6K7, and 6Q7 are metal in my set. They didn't have shields, ( like the glass tubes) shown in the E-Bay set. These tubes were metal from the factory, as they are "Sparton" metal tubes. Maybe another unique "Canadian" thing. 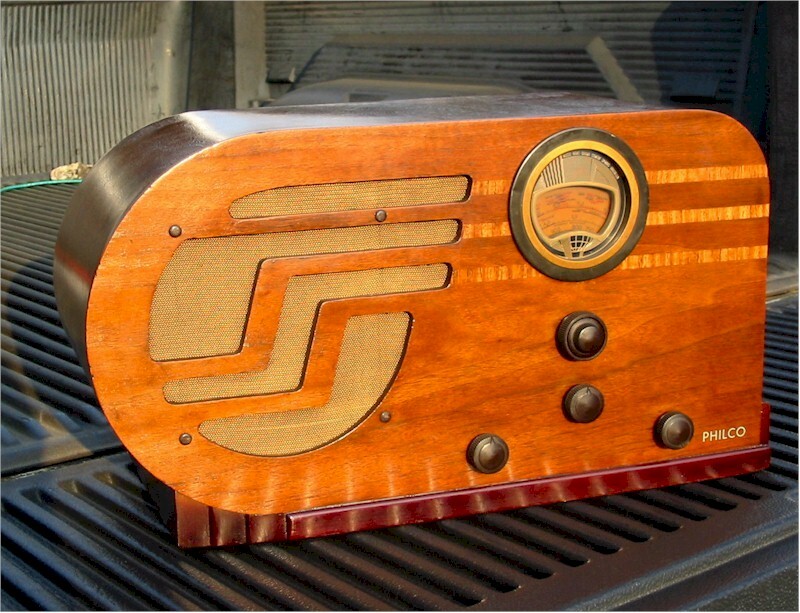 The radio retains the factory installed speaker cloth, rosettes, speaker, and wood knobs. Wrong, wrong, wrong. Those aren't the original factory wooden knobs. Those are actually RCA bakelite knobs which were used on such RCA radios as the 128 and the 143. Chassis is definitely not original to this particular bookcase Canadian Sparton radio. After searching completed auctions on eBay for Spartons I found the following. Sparton 517 Cube from a few months back.....this appears is the chassis that is now in the deco bookcase Sparton being sold. Look at handwritten "X" on left side of chassis, sticker on canister, and the glue marks where the chassis sticker is.....all the same. Even the tilt of the IF can is the same and wasn't fixed. Good sleuthing, guys. So I guess you can't just put the seller aside, then. From this seller, it is absolutely no surprise that a Franken-Sparton fake is being passed off as an original. Notice how this master of shysters and charlatans writes true details but implies the falsehoods. 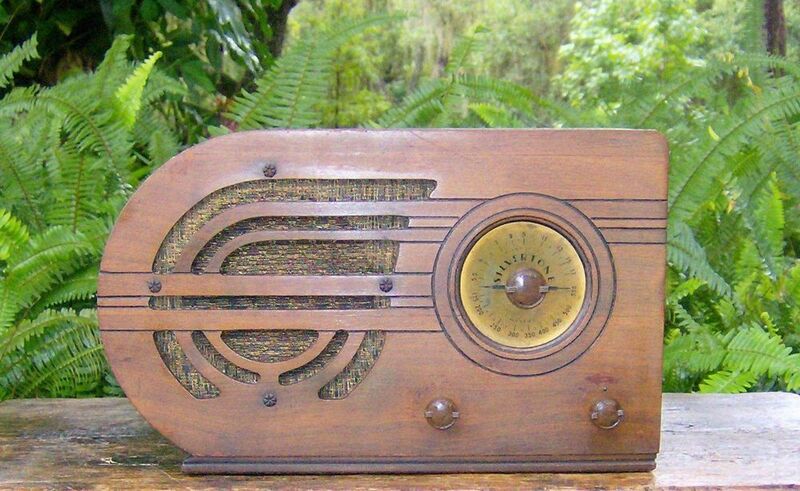 He says it's a "1930's radio by the Sparks-Withington aka Sparton Company of Jackson, Michigan & London, Ontario Canada." He clearly knows the cabinet is Canadian (model 057) and the radio chassis is American (model 517), he just doesn't say it. Instead he conflates the two companies together as though it's okay this thing is made of parts and pieces from both sources. 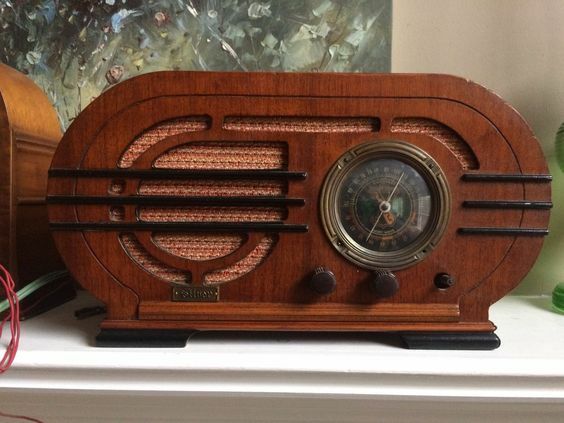 Then he says, "The radio retains the factory installed speaker cloth, rosettes, speaker, and wood knobs." Never mentions the radio chassis itself. Never says the radio chassis comes from a completely different model of radio. Final kicker, "This model may have been limited to selling in the Canadian market." 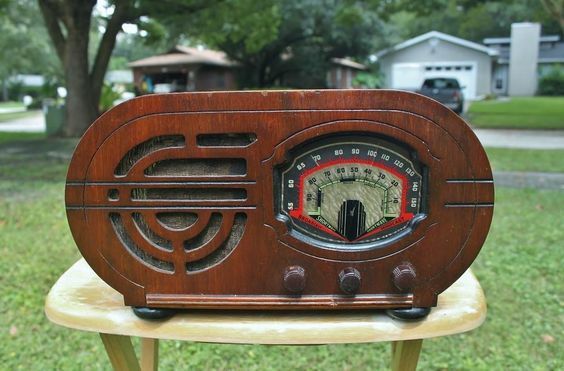 Just plant that little bit of fantasy in the minds of potential buyers, knowing full-well this radio was never marketed at all, since it's a made-up Franken radio that never came off the assembly line of any radio factory. A carefully, deceptively-written description that intentionally hides the truth about a hacked-up piece of garbage worth less than the sum of its components. Last edited by palegreenthumb on Jan Sun 28, 2018 12:30 am, edited 1 time in total. I don't do the whole ebay thing but I know that you used to be able to ask the seller a question and they would respond to it and everyone could see the Q&A. Why not just post a question asking if it is the original chassis. If he lies then the buyer could back out afterwards if they choose. They don't have to let everyone see the answer. Ebay will pester them for an answer but they can ignore it. It's called spinning the truth. Unfortunately there's a lot of people out there, with deep wallets and big egos, who can't see through a spin for what it is and there's dealers that have become infamous for taking the art of spinning to a whole new level in order to sell their goods on Ebay. I think this auction is a pretty good example of that. Well ,The "unique sparton" finally sold. Holy smokes, I guess I should list mine. I remember I paid about $30 Canadian for it a few years back. I wonder if the proud new owner realizes that they got scammed or screwed over ? $1,126.00 !!! Yes, But WALTER TEAGUE restored it according to the title. I wonder if he "restores" Catalin also? I wonder if the proud new owner realizes that they got scammed or screwed over ? $1,126.00 !!! We'll never know because such winners never post on ARF. Watch carefully to see if it comes back up for sale in the next 6 months. Likely by the same seller. Well Tony, Here is your chance to tell me how much I got scammed/screwed. And yes even such winners like us come to ARF. Hey, Enjoy your new FrankenSparton !